The Holidays are filled with special celebrations with our friends and family. With so many blessings in our lives, it reminds of those who may not be as fortunate. It is especially a difficult time for many women in shelters. Very near and dear to our hearts, The WowMom is a proud supporter of The Shoebox Project which aims to bring a smile to these women and remind them that they are special and cared about. 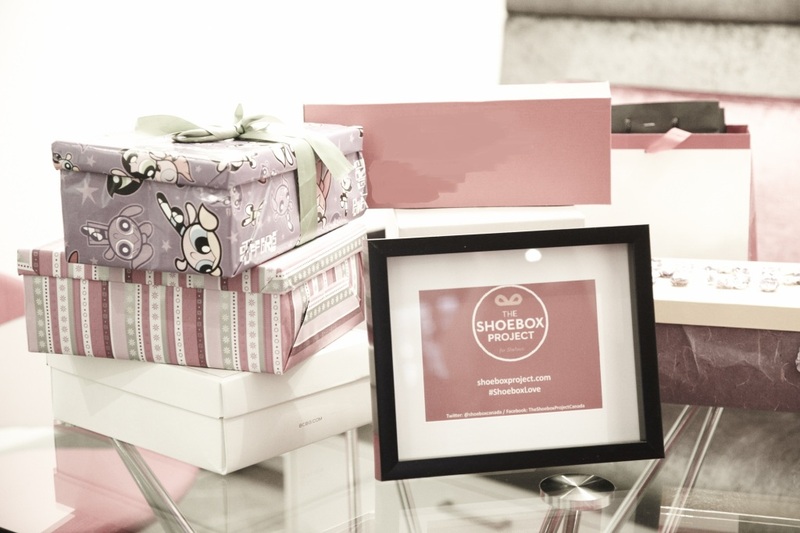 The Shoebox Project collects and distributes gifts in the form of shoeboxes to women in shelters across Canada. Each shoebox is filled with necessities and a few added little luxuries that a woman would enjoy but would not splurge on for herself in difficult times. Putting together a shoebox is easy and this small gesture of kindness is very much appreciated by its recipient. The goal is to brighten the days of women living in our country’s shelters and let them know that their community does care about them. What can you put in a shoebox? Items such as toothbrush and toothpaste, shampoo, body lotion, soap/body wash, socks, gloves, nail polish, mascara, eyeliner or lipgloss, nail kits, hair brushes, gift cards (Tim Horton’s, McDonald’s, Pharmacy, Winners,etc. ), phone cards or sweet little treats like candy, cookies and chocolate. Last year, thanks to the generosity of countless Canadians, The Shoebox Project delivered gifts to 9,100 women in 188 shelters and outreach programs in 26 communities across the country.